Brown Pre-College Programs attract serious students from the U.S. and over 70 countries across the world. Many are interested not only in learning something new but also in improving their English language skills in preparation for college. Summer@Brown for English Language Learners (ELL) offers courses in a broad range of academic disciplines, reflecting the breadth and depth of Brown’s undergraduate curriculum. Students are provided additional language support while experiencing the full Summer@Brown program experience. Interested in learning more? 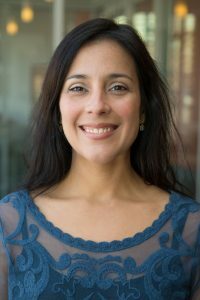 Program Director Rosario Navarro has answered some of the most frequently asked questions about Summer@Brown for English Language Learners. What is Summer@Brown for English Language Learners? Summer@Brown for English Language Learners provides students, for whom English is not their primary language, an opportunity to improve their English skills while also getting the full Summer@Brown experience. There are over 30 courses covering a range of disciplines, from sociology and medicine to chemistry and writing. When not in class, ELL students take part in all Summer@Brown activities and special events. Who are these courses best suited for? Any student, no matter their native language, who wants to enhance or expand their knowledge of a subject area and have the college experience, while also strengthening their English speaking, writing and/or reading skills. That applies to domestic students, too. Many of the students who enroll in taking ELL courses are high performing students at the top of their class. ELL students are interested in further exploring a discipline while improving their English language skills, particularly as they prepare for college-level academics. ELL students may stay for multiple two-week sessions. How are the ELL courses formatted to support English language skill-building? In each of the three two-week sessions, students are in class Monday through Friday from 9 a.m. to 11:30 a.m. On Tuesdays, Wednesdays and Thursdays students are given additional time to work on assignments and receive additional language support. In each ELL course, the instructor is joined by a teaching associate. While the instructor focuses on the delivery of content, the teaching associate is there to focus solely on the students’ language acquisition. ELL students benefit from longer class times and a pace that facilitates learning the content while improving their English. In the afternoon sessions on students participate in language labs, during which students receive one on one feedback on their writing or projects. Does the ELL student experience differ from that of other Summer@Brown students? Not at all. Aside from a slightly different course format, all of the opportunities students have outside of the classroom are identical to those of their Summer@Brown peers. They live in the residence halls with other Summer@Brown students, socialize with classmates from around the world, and have access to all student groups and workshops. The courses mirror those offered in Summer@Brown and are often taught by the same instructors. 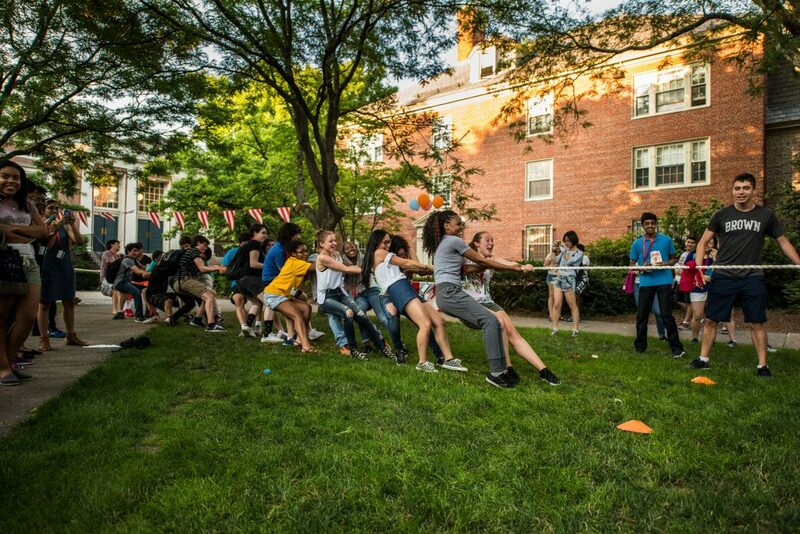 Summer@Brown Carnival, one of many events students can participate in. What kind of feedback have you received from students who have previously taken ELL courses? Students, some having returned for a second summer, appreciate the smaller class sizes as well as having instructors with experience teaching ELL. They also like the diversity of the experience, as ELL classrooms tend to have more international students. The mix of cultures and experiences means there are many perspectives to learn from, and interesting, globally focused conversations taking place. For more information and to apply, visit the Summer@Brown for English Language Learners. What is the cost of the board & meal for four weeks in summer ESL? Hello! Thank you for your question. The cost of a 4-week course which includes board and meals is $6,764. If you have any other questions or would like more clarification please reach out to our Program Advisors at (401) 863-7900 or precollege@brown.edu. They will be happy to help! Are there any scholarships available to these students who want to attend? Yes! Visit our website for more information on Financial Aid.